What's larger than Yellowstone, Everglades, Glacier, and Grand Canyon Parks combined? The Adirondack Park in Northern New York. 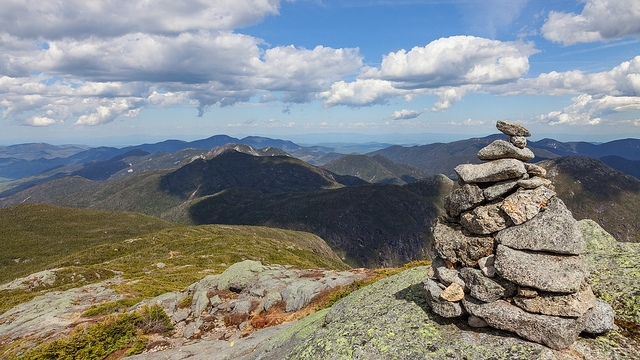 Created in 1894, the Adirondack Park encompasses 6 million acres. 2.6 million acres are owned by New York State, and the remaining 3.4 million are privately owned. It is the largest publicly protected area in the contiguous United States. Under the New York State Constitution, the state-owned acreage is designated "Forever Wild," ensuring that the forest preserve land won't be logged for timber, and that certain areas will be maintained for recreation, including skiing, hunting, camping, and mountain biking. The park boasts 3,000 lakes and ponds and 30,000 miles of rivers and streams. 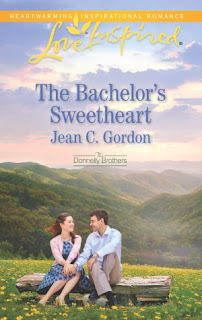 Ready to join me on on a short virtual tour of some of the places I've been in the park? Let's go. 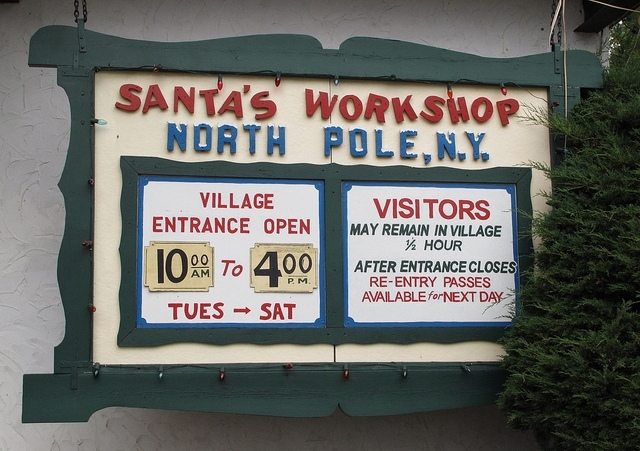 Santa's Workshop on Whiteface Mountain in North Pole, NY (near Wilmington) is what it sounds like, a Christmas theme park. The Workshop opened its doors in 1949. In 1953, the US Postal Service awarded Rural Postal Station Statua to the North Pole. I visited it as a child. My family drove six hours from Western New York to get there. We also took our kids to the North Pole when they were small. 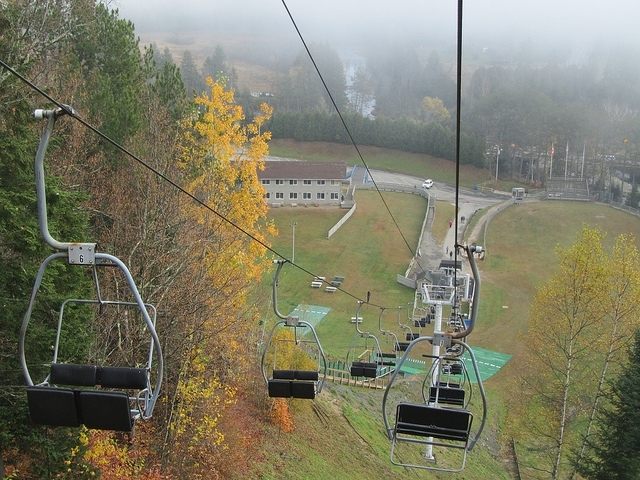 Lake Placid, home of the 1932 and 1980 Winter Olympic Games, is nearby. The Olympic ski runs were on Whiteface Mountain. 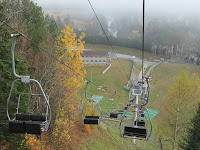 When we visited in late August one year, it actually snowed while we were on the scenic ski lift ride. Fortunately, we'd brought warm coats because we were camping and knew it could be cold at night. 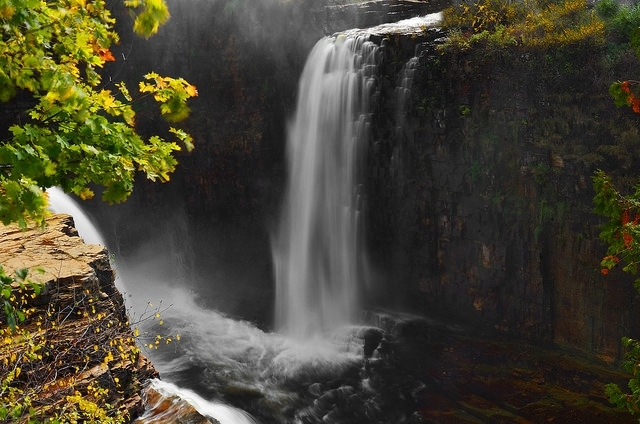 Ausable Chasm is nicknamed the Grand Canyon of the Adirondacks. We've hiked the upper chasm past waterfalls--like Rainbow Falls, pictured--and stunning rock formations on cable bridges that crisscross over the roaring Ausable River. You can also take a scenic float through the lower chasm. Next up, Mt. Marcy, the highest point in New York State at 5,343 feet. On a trip without the kids, my husband and I hiked about half way up. We'd gotten too late of a start to try to hike the whole way. Between Mt. Marcy and Mt. Skylight, you'll find Lake Tear of the Clouds, often cited as the source of the Hudson River which runs behind our property 150 miles south and then on another 150 miles to the Atlantic Ocean. Then, south to the Adirondack Museum in Blue Mountain Lake, which is dedicated to preserving the history of the Adirondacks. The museum is located on the site of an historic summer resort hotel, The Blue Mountain House. We visited last summer. 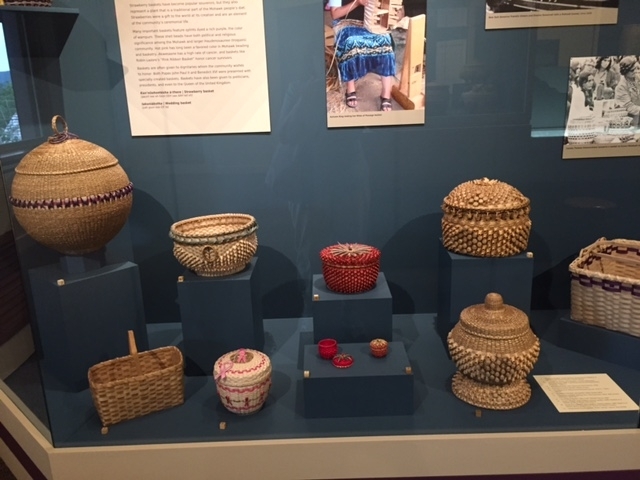 The exhibit on the history of logging in the Adirondacks fascinated me, and I loved the beautiful Native American basketwork on display. Heading back home, we'll stop at Paradox Lake, where my last seven books are set. The lake gets its name from a unique occurrence that happens every spring. Melting snow in the eastern Adirondack Mountains flows into the Schroon River. 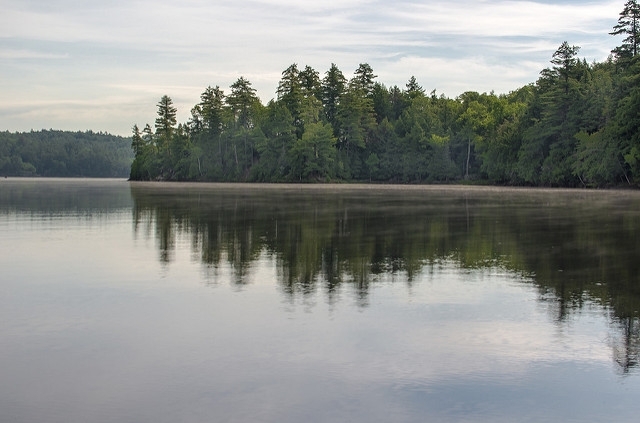 Paradox Lake's outlet also flows into the Schroon River. Due to the sudden increase in water, the outflow is forced back, making the river flow in reverse. According to local folklore, the word paradox means "water running backwards" in the native Indian language. We've been to the Paradox area several times and always stay at the same little rustic motel in Schroon Lake. What do you think? Ready for an in-person visit? The Donnelly Brothers: Hometown boys make good...and find love. Jean, I've visited many of these beautiful places because my hometown is central NY. Great post!